More than 130 million girls and women have experienced some form of Female Genital Mutilation, FGM in 29 countries in Africa and the Middle East where the harmful practice is most common, the United Nations International Children Emergency Fund (UNICEF) has said. 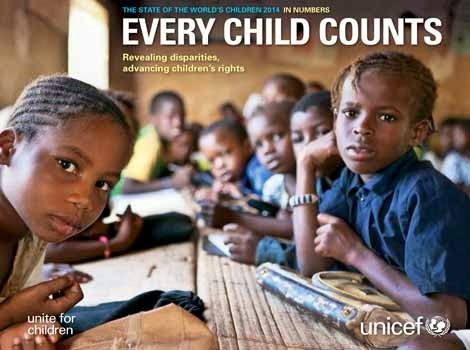 NaijaAgroNet reports that this is coming as UNICEF raised alarm that over 700 million women alive today were married as children. The world body made the disclosure in a statement released today in United Kingdom as the UK government and UNICEF played host to a first-ever Girl Summit to rally support for much faster progress to end female genital mutilation (FGM) and child marriage – two practices that affect millions of girls across the globe. UNICEF Executive Director Anthony Lake stressed that FGM and child marriage profoundly and permanently harm girls, denying them their right to make their own decisions and to reach their full potential. In his words, they (FGM and child marriage) are detriments to the girls themselves, their families, and their societies. “Girls are not property; they have the right to determine their destiny. When they do so, everyone benefits”, he said. According to UNICEF, more than 1 in 3 – or some 250 million – were married before 15. The body believes that girls who marry before they turn 18 are less likely to remain in school and more likely to experience domestic violence. In the report titled: No time to lose: New UNICEF data show need for urgent action on female genital mutilation and child marriage , young teenage girls are more likely to die due to complications in pregnancy and childbirth than women in their 20s; their infants are more likely to be stillborn or die in the first month of life. The report discloses that beyond extreme physical and psychological pain, girls who undergo FGM are at risk of prolonged bleeding, infection, infertility and death and adds that child marriage is even more widespread and can lead to a lifetime of disadvantage and deprivation. “Overall, an adolescent girl today is about a third less likely to be cut than 30 years ago. Kenya and Tanzania have seen rates drop to a third of their levels three decades ago through a combination of community activism and legislation. In the Central African Republic, Iraq, Liberia and Nigeria, prevalence has dropped by as much as half. Attitudes are also changing: recent data show that the majority of people in the countries where FGM is practiced believe it should end, but continue to compel their daughters to undergo the procedure because of strong social pressure. But without far more intensive and sustained action now from all parts of society, hundreds of millions more girls will suffer profound, permanent, and utterly unnecessary harm”, the statement said. The report maintains that if rates of decline seen in the past three decades are sustained, the impact of population growth means the number of women married as children (more than 700 million) will remain flat through 2050; and up to 63 million more girls could be cut by 2050. The report also argues that doubling the rate of decline would bring the number of women married as children down to 570 million by 2030 and 450 million by 2050. “The numbers tell us we must accelerate our efforts. And let’s not forget that these numbers represent real lives. While these are problems of a global scale, the solutions must be local, driven by communities, families and girls themselves to change mindsets and break the cycles that perpetuate FGM/C and child marriage. We can’t let the staggering numbers numb us – they must compel us to act”, Lake said.